Can’t base Maccs draft history on late round picks. But as a whole he’s drafted GOD AWFUL!!! And that’s why we’re in the situation we’re in. To be fair he's been average. League-wide it's usually a 35% hit rate in the draft. Lee is still a question-mark (reminder he is only 23 years old... I believe we'll see him progress the way Shazier did), and we all know the Hackenberg gamble ended up a disaster, but Jenkins/Shell/Edwards/Peak were good draft picks in 2016. 2017 was a lot like 2016; Maccagnan made a huge mistake to trade down from 70 when he could've selected Jordan Willis, Elflein, Feeney... can't criticize the Hansen pick- just didn't work out. The rest of the draft looks good: Leggett and McGuire are not going to be stars, but I very much get a Dustin Keller-ish/Bilal Powell vibe out of them. TEs notoriously take long to develop, so need to be patient with him. I believe Derrick Jones has a future here, and we've already witnessed just how good Adams/Maye could be... people are sleeping on them, but just watch how lethal they will be with Tru added to the mix. We clearly don't know what 2018's draft will turn out to look like, but I feel really, really, really confident about Darnold/Shepherd/Herndon. I think Shepherd is going to be an absolute monster. I think passing on Dorance Armstrong was a mistake, but Herndon is going to be a good one. Has all the traits you look for in a well-balanced TE. Patriots picked up Chad Hansen. eh? Yeah but since Patriots are second to last priority nobody wants him. ouch! Sooo according to Manish we didn’t put a single waiver claim in....what? lol no claims. someone wake macagnan up and let him know he slept in and missed the deadline. i’m sorry but even though the trade up was a good move and darnold falling was awesome, this guy leaves a lot left to be desired. Ya we were 6th on the waiver list and got no one. That’s grounds to get fired damn near in itself. Why can’t we specifically criticize the Hansen pick...? The biggest problem is its not like we have owners who know jack s#!t about the game. Chris has done a better job than Woody in a sense that he stays away and lets Mac do his things, but now we are seeing that Mac is completely unqualified for this position. To be considered a top scout have a truly awful history of drafting since he was hired says it all. I hope someone close to the situation talks some sense into them. The Jets will be set up well in 2019, but will only thrive with a much more competent regime. Mac should not survive this year if we only improve our record by 1 game or so. Like previously mention by someone, forgive me for being to lazy to check back, might have been you @Bobby816, the Jets are ALWAYS a step behind the trends. Find someone whose with the times or even ahead. Mac and Bowles are not those people. You need a QB to win in the NFL. He has gotten, what looks like, our franchise QB. Now the game is on. Mac has done a great job so far. If you look at our roster today compared to 2014, we are in much better shape. 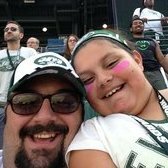 I have been a Jets fan since the late 70s and a season tix holder since 1990 - the negativity of some fellow Jets fan makes me wonder why they are even fans. No GM hits home runs each year. No GM consistently drafts All Pros in rounds 2-4. Hit rate on drafted prospects out of the 1st are very low. Why do you think the average career in the NFL is 3.3 years? The arm chair GM with hindsight is dangerous. The fact remains if Macc hits on Darnold then the duds he’s drafted over the last few years will be forgotten for a while. Drafting a franchise QB gives him time to get his act together improving this oline and finally getting us the pass rushers we’ve been desperate for.